San Diego City Council candidate Antonio Martinez picked up the endorsement of a second primary opponent Wednesday in his bid for District 8 in the South Bay. Community activist and nonprofit executive Christian Ramirez, who finished third with just three votes less than Martinez, joined fourth-place finisher Zach Lazarus in making an endorsement. 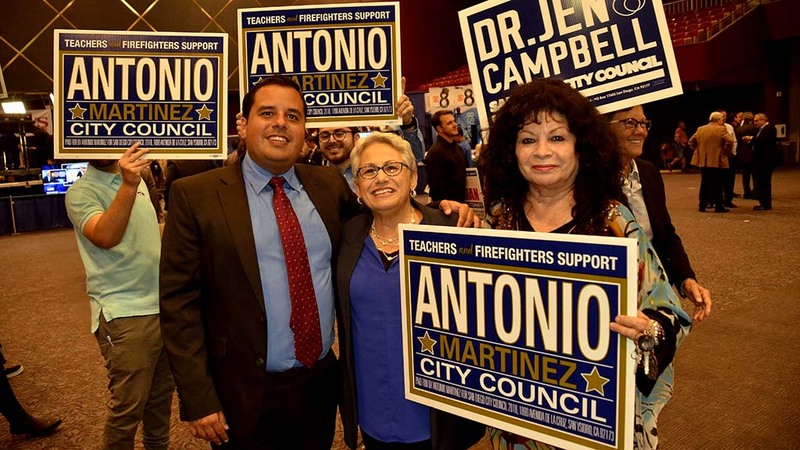 Vivian Moreno, an aide to current Councilmember David Alvarez, led in the June primary with 36 percent, but the combined vote for Martinez and the two candidates endorsing him was 64 percent. Moreno and Martinez, both Democrats, will face each other in the November general election.